A district court in Ranchi had earlier issued summons to Rahul Gandhi following a petition alleging that he had made unsavoury remarks against Amit Shah, hurting him and denting the BJP's image. Rahul Gandhi will not have to appear in person when the case of his remarks against Amit Shah is heard. 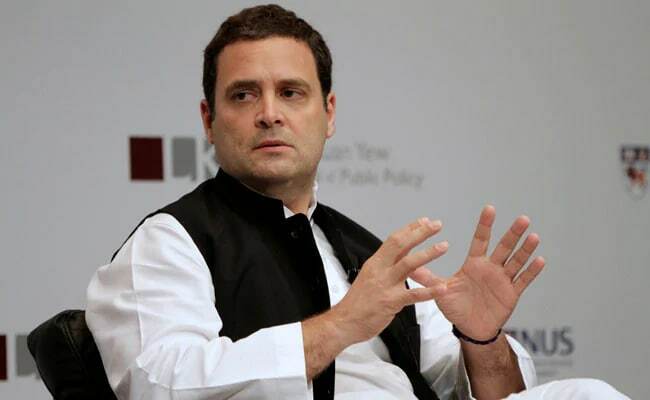 The Jharkhand High Court on Monday ruled that Congress President Rahul Gandhi will not have to appear in person when the case of his "unsavoury" remarks against BJP chief Amit Shah is heard. A district court in Ranchi had earlier issued summons to Mr Gandhi following a petition filed by Naveen Kumar Jha, alleging that the Congress leader had made unsavoury remarks against Mr Shah, hurting him and denting the BJP's image. The high court has given relief to Mr Gandhi staying his personal appearance in Ranchi, said Rajiv Ranjan, who appeared on behalf of the Congress. "Rahul Gandhi had said a murderer can become president of BJP but this cannot happen in Congress," Mr Jha said in his petition to the Ranchi court.